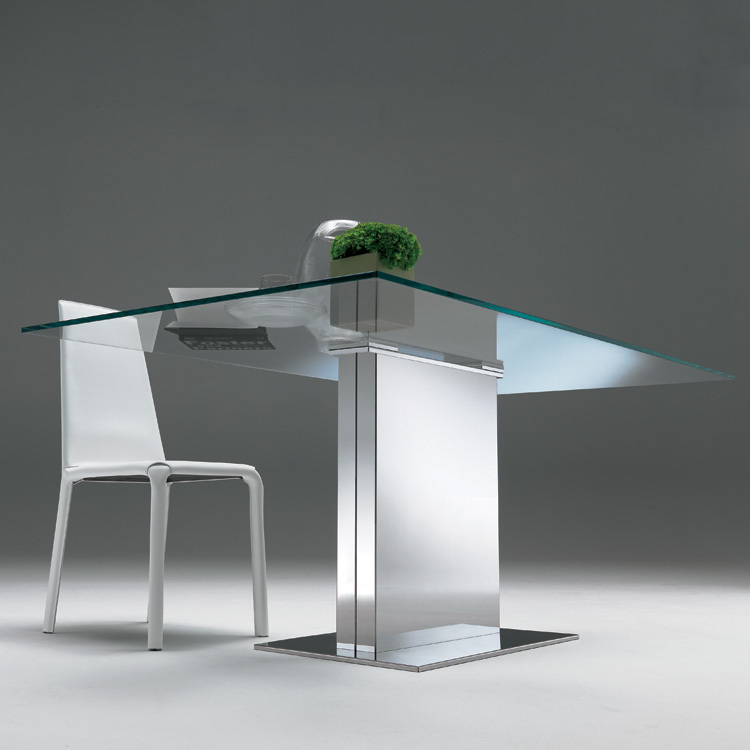 A fixed length dining table that combines clean lines and the highest quality materials to give a futuristic, ultra modern look to the dining room. 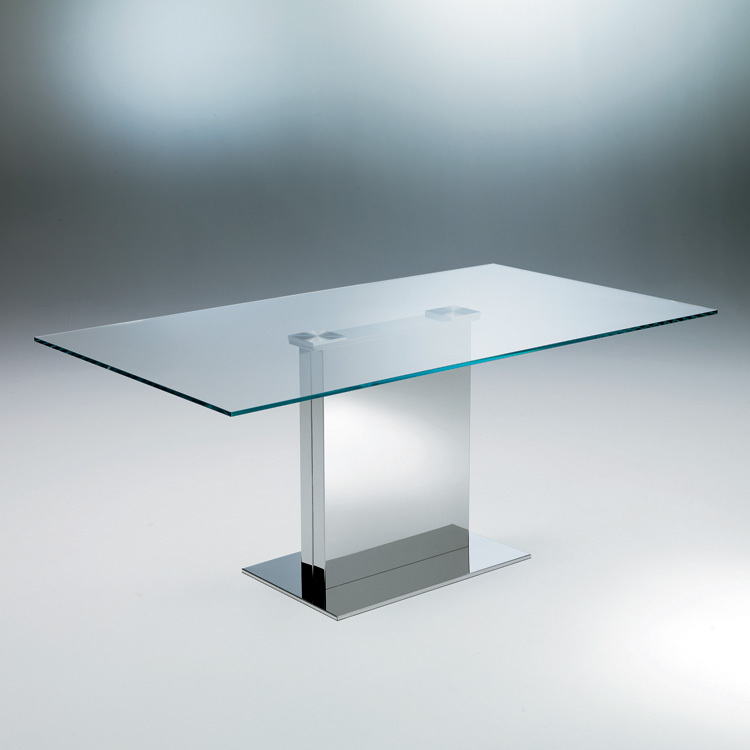 The table top is available in extra clear transparent glass or lacquered in a range of colors. 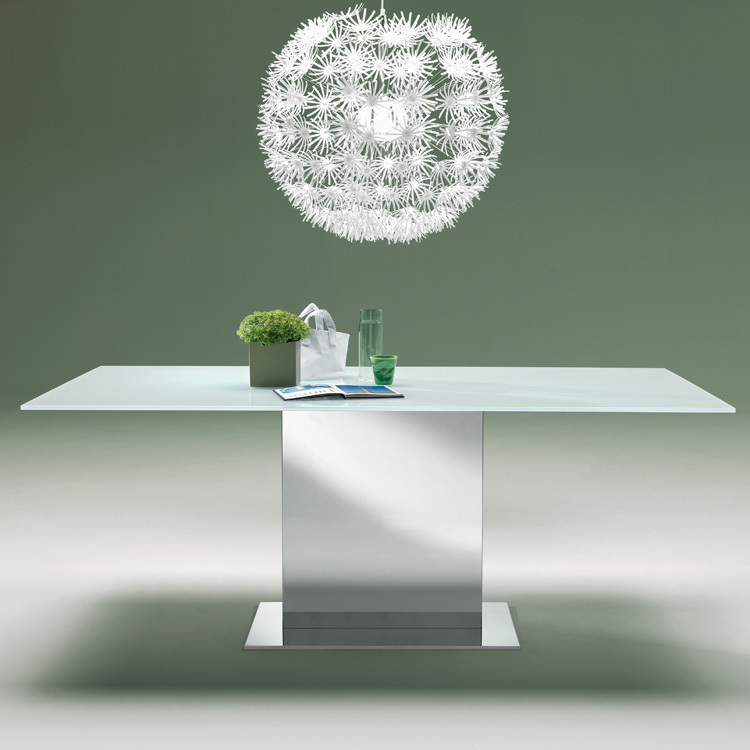 Stainless steel column with a steel finish or lacquered in white or brown. Stainless steel base.